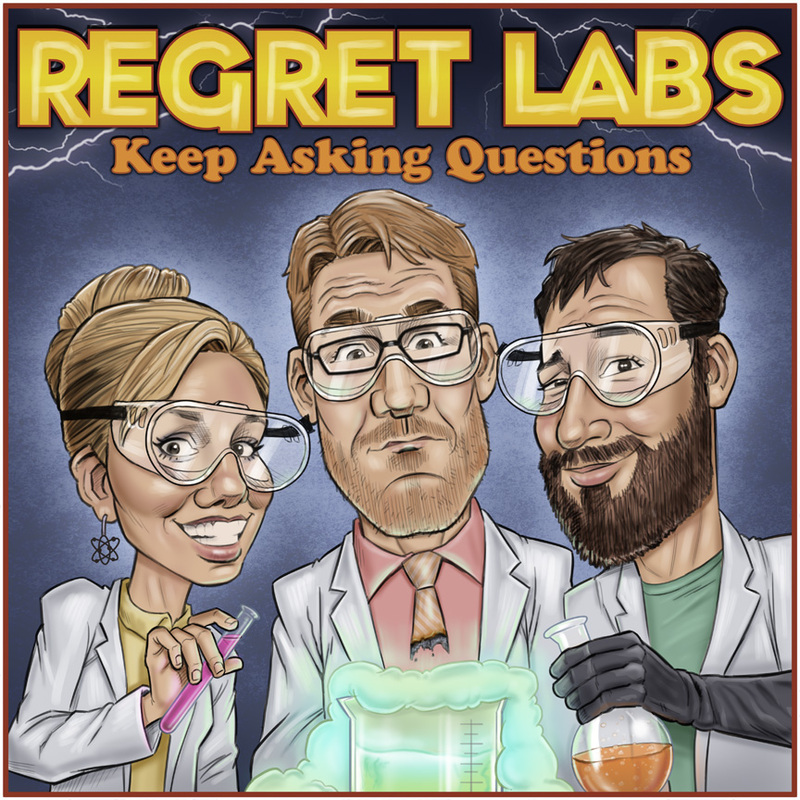 On this special mini episode of the Regret Labs podcast, Aric and Levi take a 9th grade science test and share their results and failings with you. If you’d like to compare your results to theirs, you can take the same test at the Peel District School Board website. Beware, there are a few typos. 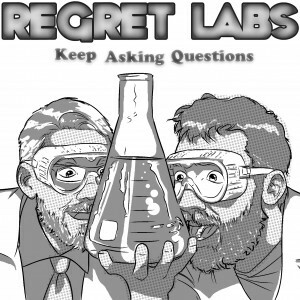 But it should allow you to measure yourself fairly accurately against the regretful hosts of Regret Labs. Here are the answers that Aric got wrong: 1, 9, 11, 23, 26, 27, 28, 29, 30, 32, 33, 34, 35, 36, 38, 39, 44, 50, 52, 54, 64, 71, 72, 74, 75, 76, 77*, 79, 80, 85. This left Aric with 64% correct. Here are the answers that Levi got wrong: 1, 7, 8, 11, 15, 16, 23, 24, 27, 28, 29, 30, 32, 33, 34, 35, 37, 38, 41, 44, 45, 46, 56, 59, 63, 66, 69, 71, 72, 74, 76, 77*, 79, 80, 81, 82, 84. This left Levi with 56% correct. Both Aric and Levi are in their 30s. *EDIT: Smart guy Fred Beukema informed us that question 77 is incorrect and we got the answers right. So we are SLIGHTLY less dumb. Knowing the periodic elements and how they work is important because it gets down to the really really small stuff of science. I learned in high school chemistry that a lot of reactions take place from atoms trying to stabilize and reach eight valence electrons. Different places on the table and different atomic numbers can show which elements will react more strongly with others. Without knowing about the valence electrons, you can’t really get an idea of why atoms stick to each other. Like you said, it is very chemistry related. But it could definitely enlighten you in regard to how nuclear power works and some cooking stuff. Chemistry is everywhere! Thanks for sharing your opinion, Jeff! I do want to know how elements works, and electrons and protons and everything else. I do think memorizing the periodic table is a little silly, but we DO have a chemist lined up for our August episode so we’ll make sure to get into what you’re saying with them. Thanks for listening!